NEW YORK and MUNICH, Oct. 9, 2018 /PRNewswire/ — Kekst and CNC, two of the world’s premier strategic communications firms, announced today that they have combined to create Kekst CNC, a leading global communications consultancy with 12 offices around the world. The new firm provides clients with a significantly broader range of capabilities and seamless access to highly experienced corporate communications professionals in key markets around the world. 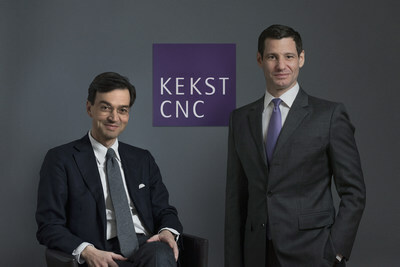 As part of the decision to combine, Kekst CNC has formed an Advisory Board consisting of distinguished global leaders with expertise in a variety of fields related to the areas of most concern to our clients. The Advisory Board is chaired by Maurice L vy, Chairman of the Supervisory Board of Publicis Groupe, and its initial members include Ambassador Wolfgang Ischinger, former German Ambassador to the U.S. and U.K. and currently Chairman of the Munich Security Conference; Nuala O’Connor, President & CEO of the Center for Democracy and Technology; Göran Persson, former Swedish Prime Minister; and Matthew Westerman, co-founder of MW&L Capital Partners and a former global banking leader at Goldman Sachs, HSBC and Rothschild & Co.